Residents are bracing themselves for a four per cent hike in council tax as cash strapped councils struggle to balance their budgets. A proposed 3.99 per cent increase in tax will be considered by Lancashire County Council’s Cabinet on Thursday, prior to the Council’s full budget meeting in February. Meanwhile the police authority’s charge is expected to rise by 1.99 per cent and the county’s Combined Fire Authority will meet on February 15 to decide its precept. Local borough councils and parish and town councils will also add in their charges, meaning that as local public services are cut by millions of pounds across the county, residents will be asked to pay more. The proposed cuts in county council services will be examined today at the council’s Executive Scrutiny Committee. 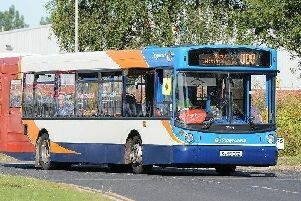 The Conservative opposition group will ask at the meeting for proposed decisions on the axing of all subsidies to bus routes, closing 40 libraries and five museums and withdrawal of transport to take the elderly and disabled to day centres, to be put on hold. Tory leader Coun Geoff Driver denounced current public consultation exercises on the cuts as mere “box ticking”. He said the public consultation inviting outside groups to express interest in running services or facilities now under threat was “too vague”. “They are really wanting people to look at their budget report and see if there’s anything takes their fancy,” he said. LCC deputy leader David Borrow said last week he will lobby MPs over their £303m decrease in funding by 2020.